24 photos of this memorial and cemetery. It holds 7000 Soviet soldiers killed in the Battle of Berlin in April - May 1945 in the last weeks of the Second World War in Europe. 1941 - 1945 Soviet war memorial, Treptower Park, east Berlin, 4 June 2016. 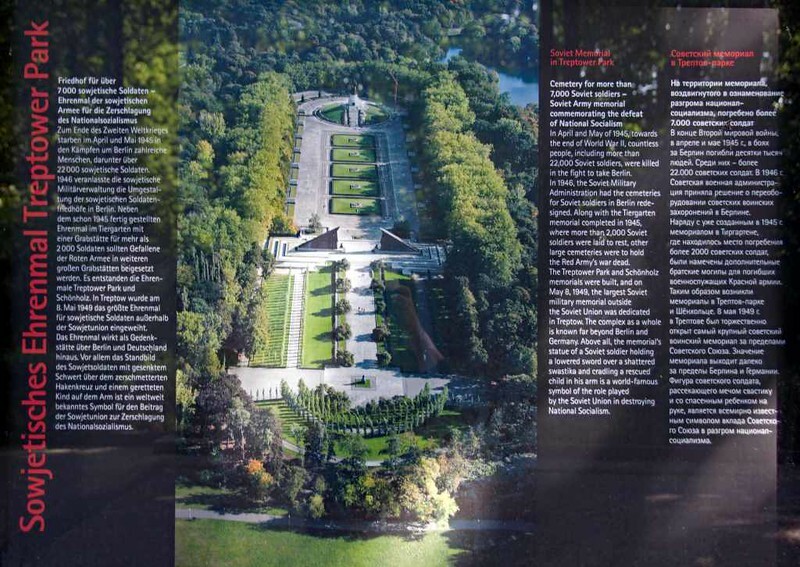 The memorial is a cemetery for more than 7,000 Soviet soldiers killed in the Battle of Berlin in April - May 1945. It is the largest Soviet military memorial outside Russia, and was dedicated in 1949. This aerial view shows the layout of the memorial. It is entered at lower left.